US industrial designer, born in New York. He became familiar with cabinetmaking in his father's shop. He studied at the Art Students League and Grand Central School of Art in New York. Early work was as a drama and music critic, cartooninst, reporter, and furniture illustrator. He traveled to France and Germany in 1927 and was inspired by modernism. He opened his own office in New York in 1927, designing furniture and showrooms, and consulting with manufacturers like General Electric and Hudson Motor Car Company. In 1931 HeywoodWakefield Company introduced a compact armless leatherette side chair with bentwood rear legs designed by Rohde, which sold 250,000 over the next eight years. Rohde also developed a later version for the Herman Miller Furniture Company, which was sold dis-assembled and made by what Rohde called an "automobile type of assembly." By 1929 he had established a relationship with D.J. Depree, president of the Herman Miller Furniture Company in Zeeland, MI and prepared some designs for him. Dupree appointed him director of design there in 1932 as part of his decision to shift the company’s orientation from traditional to modern design. His first modern design for the company, a No. 2185 Group bedroom suite was shown at the Chicago Century of Progress. Also in 1932, Rohde exhibited his furniture designs in a "Design for Machine" exhibit in Philadelphia, along with designs of Russel Wright. The Herman Miller Clock Company in 1933 introduced clocks designed by Rohde. In 1934, Rohde was represented in a 1934 "Art and Industry" exhibit at Rockefeller Center organized by the National Alliance for Art and Industry that showed 1000 products by 100 designers, and in the Metropolitan Museum’s exhibit, "Contemporary American Industrial Art." One of his designs was the "Semi-Arm" chair, with bent chrome-plated steel tubular frame and leatherette seat and back. Rohde was a member of the American Union of Decorative Artists and Craftsmen (AUDAC); was director of the Design Laboratory School from 1935-1938; was one of the founders of the Designers Institute of the American Furniture Mart in 1933; and headed an industrial design program at the New York University School of Architecture from 1939 to 1943. He designed major exhibits for the New York Worlds Fair in 1939, including the Home Furnishing Pavilion, and the "Community Interests" exhibit in the Consumers Building. In 1940, Rohde convinced the Herman Miller Furniture Company to discontinue production of all its period reproductions, because of his belief that imitation of traditional design was insincere esthetically. Rohde served at Herman Miller until his death in 1944. 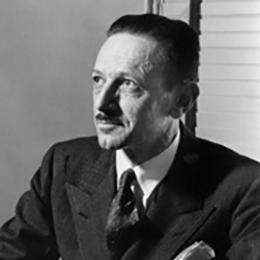 He was replaced by George Nelson, who continued to champion modern design at the company throughout the postwar period.